Fingerhut is catalog that started in 1948 by William Fingerhut and his brother Manny selling automobile seat covers. In 1952, they diversified and began a mail catalog selling a variety of other products. Today, you could purchase brand name products from their websites as well as their catalog. Unlike many online stores, Fingerhut actually extends credit to consumers who do not want or cannot pay in full for their purchases. They also tend to accept applicants with bad credit as well. Hence, many folks who have had their credit damaged have successful used them in their rebuilding process (along with other cards). Bear in mind that Finger Credit Account is not a traditional credit card. It can only be used for Fingerhut's purchases. Unlike many other subprime cards, Fingerhut does not charge any, one-time application fees or monthly maintenance fees. The APR is 24.9%, which means that at the moment. 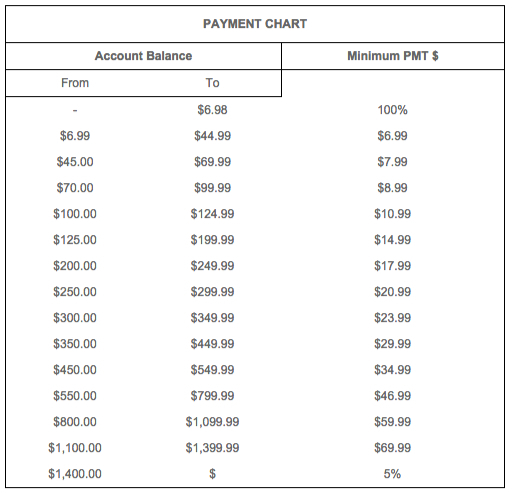 You will be charge interest fees on the balance that you carry. On their website, they have listed a table showing the approximate amount you have to pay based on the balance that you carry. If you are a serial bargain hunter and are always looking for the lowest price on products, then this is not the place to get them. It does not have the cheapest price. But what it does offer is consumer credit financing for those who cannot or do not wish to pay in full for their purchases. And they will open an account for those with not so stellar credit. That means that this is a good credit account to rebuild your credit. The key advantage of this program is that unlike many unsecured sub-prime cards, there is hardly any fees. You simply have to pay interest on your balances (or you can choose to pay in full). The path to rebuilding one's credit often starts with a couple of secured cards. However, the ultimate aim is to get back into unsecured land. After having secured cards under your belt for about 6 months, you could start trying to get one or two unsecured cards. You have the choice of (some) gas cards, retail cards or failing that, annual fee unsecured cards like Credit One. However, sometimes, you might be disapprove of even those cards. If that ever happens to you, then you should very well consider getting your hands on the Fingerhut credit account. By having an unsecured line, you will instantly lower your utilization rate. You also do not have to make a purchase every month and only take advantage of sales. You could also pay in full and avoid finance charges. If you already have a high fee unsecured card, you may want to consider adding this to your rebuilding arsenal rather than paying for another high fee card.